How does technology mediate our relationships with each other? Does it contribute or disrupt human closeness and connection? The history of communication has shifted along with culture. As technology advances, traditional avenues for connecting with others around you have become more difficult. Personal visits and aural communication gave rise to letters, letters gave rise to phone calls, phone calls gave rise to emails, email gave rise to text messages, and text messages gave rise to emoji texts, and so on. Each new technology has allowed us to move further from our physical selves connecting with each other. As we move into abstracted modes of communication such as texts, tweets, and emoji, we should examine, meditate upon and explore the impact this communication upon our ability to connect with each other. 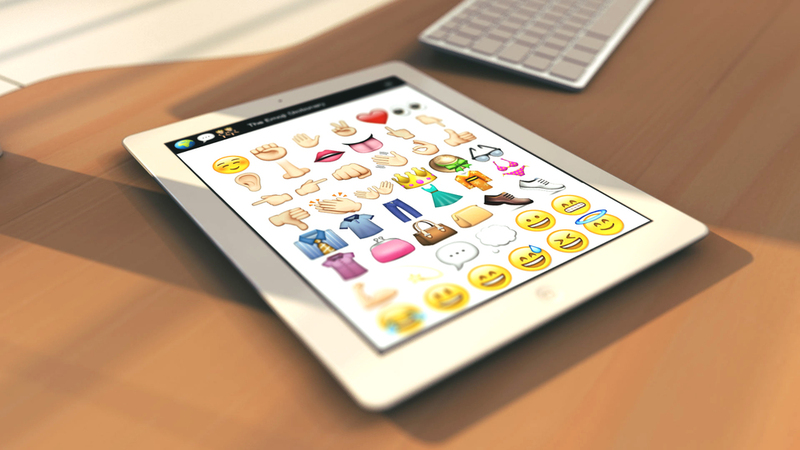 By highlighting emoji as creative medium we start to unpack the millions of Emoji texts and messages sent every day, and what might be emerging as a meaning-making tool beyond the chat log. I think of the Hikikomori in Japan, a group of mostly young men in Japan who do not leave their house and live with their parents. Combine this with Japan’s declining birth rate and young people who are losing interest in romantic partnerships and we begin to see the effects of technological disassociation. I do not think it is a coincidence that Emoji is Japanese. There is a connection between people moving away from intimacy and connection as we begin to mediate our communication through more abstracted and reduced forms or technological communications. Read more about the process and research in my final paper here. In order to further explore Emoji I co-founded the Emoji Foundation in 2013 as a way to promote, explore, and translate the written word into the pictorial alphabet of Emoji. A Performance Lecture I gave at Proof is in the Processor art show in New York City on Jan 16th 2005. 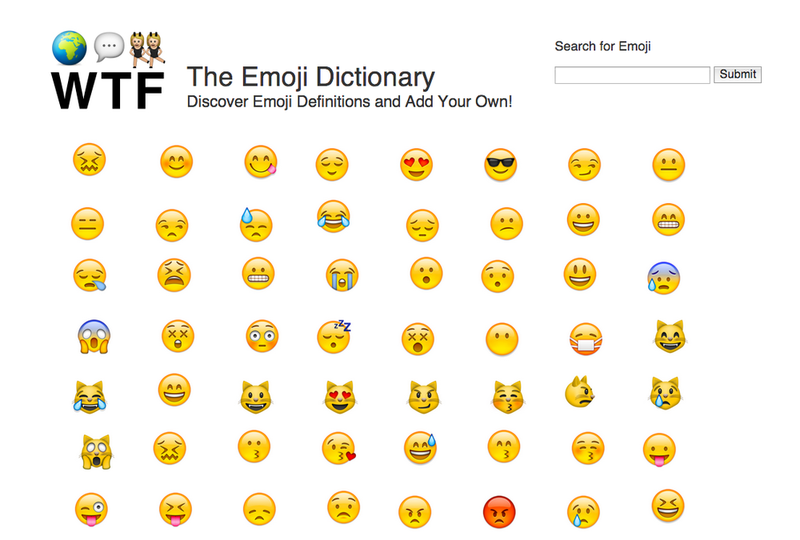 The Emoji Dictionary is Emoji Foundation's flagship project, It is the first crowdsourced Emoji resource on the web. Similar to Wikipedia, it relies on the community to share, build and define the Emoji that have so long remained shrouded in mystery. As the Emoji Dictionary grows so will our understanding of the myriad of meanings these symbols have for thousands of people across the world. The Emoji Dictionary has received over 1 million visitors since Jan 2017 alone. It was selected for entry into the Currents New Media Art Festival 2015 in New Mexico. 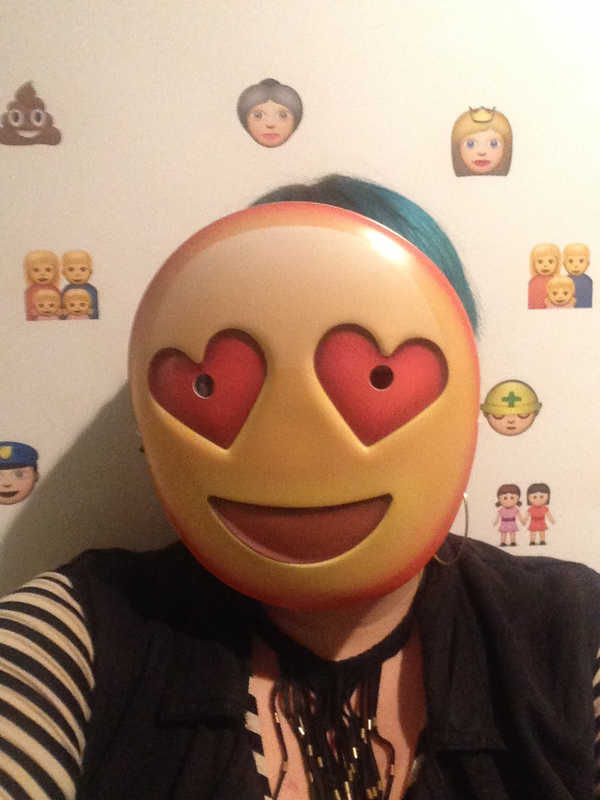 Creator, Niki Selken gave a talk at the festival, entitled, Emoji is Everywhere and set up an Emoji Selfie Booth. It covers the history of Emoji and a behind the scenes look at the somewhat secretive foundation that controls which Emoji get included into the character set. The project and talk debuted on January 16th 2015 in New York City at The Proof is in the Processor art show and performance lecture. Currents New Media Art Festival, 2015, New Mexico. I am creating a database, website, and resource hub for art and thinking around these new communication forms. The project is called The World Translation Foundation. The World Translation Foundation believes that words often get in the way of expressing how we feel. WTF is one part web project, one part tongue and cheek art movement, and two parts serious scholarship. Words can be cumbersome and misleading, and worst of all, they change from country to country. The pictorial alphabet of the emoji lexicon is ubiquitous; easy to use and understand. In a tradition that dates back to the hieroglyphs of ancient Egypt, WTF aims to educate the public in the art of letting art speak for you. 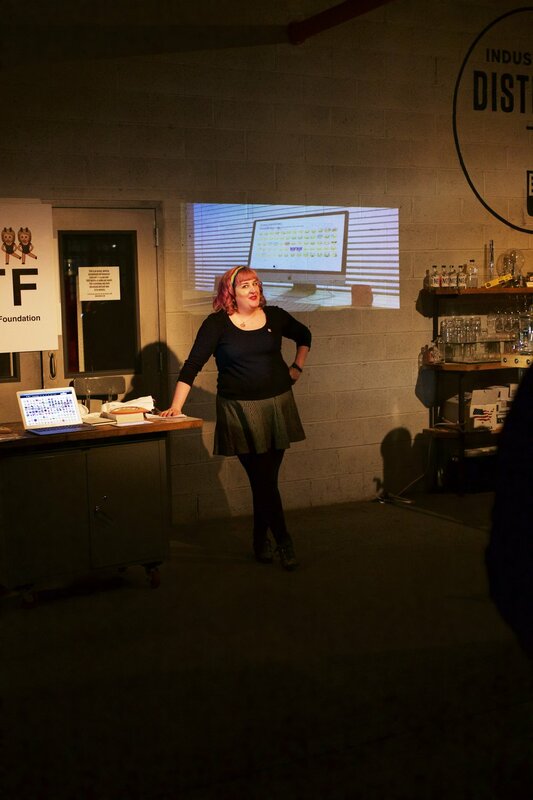 Let WTF transform the way you communicate, and pave the way to a quieter tomorrow. Right now the WTF is a website hosted on a custom installation of Wordpress. Contributors include myself and Cara Rose DeFabio. As a means to explore the semiotic impact of Emoji, I am creating the Emoji Dictionary. This is a portion of the WTF website which will be built out using PHP and a MySQL database to store the emoji codes and images as well as definitions. The dictionary will be a living document, allowing users to add to the definitions of each of the emoticons. Read More about the WTF user scenario and user tests for the project on my blog. The primary audience for my project is a tech savvy American man or woman between the ages of 18 and 44 with an interest in Japanese emoji, art, and language. They are the early adopter sort of person who uses Twitter and Texting quite frequently and enjoys adding content to websites like YouTube, Vine, and Reddit. I began a redesign of the Emoji Dictionary in 2017 to overhaul the way in which users interacted with the piece and to accommodate the growing user base. The update site takes into account the need for agile updates to the Emoji database of definitions as well as the ever increasing number of Emoji that are ratified by the Unicode foundation. Using templating schemes, the Twitter API for Emoji, some scripts and magic myself and developer Alex Birdsall began the process of a full site overhaul. This started with simply examining Google Analytics data and moving the site from http to https, along with needed redirects. Next we streamlined the code for the backend database calls and improved the data we give to the user. Phase three was to work on a content filter and the Twitter image scraping script to pull in new images seamlessly from Twitter to add them to the database. Finally I redesigned the UX, look and feel of the app and began to implement that code into the development server.